Pediatric Ophthalmology of Erie, Inc., the office of Dr. Nicholas A. Sala has been in existence for over 25 years. 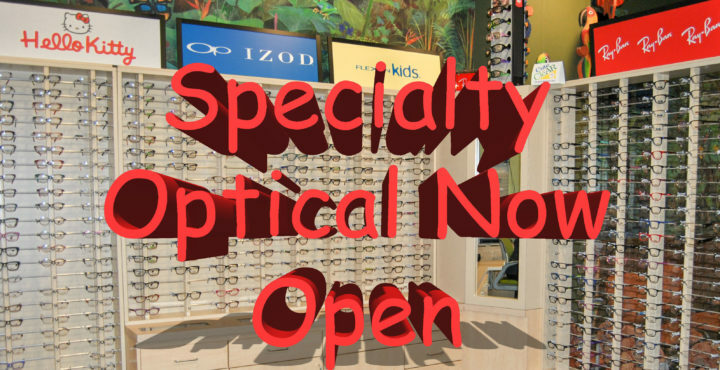 We specialize in comprehensive children’s eye care (birth to 18 years of age) along with adult strabismus (misaligned eyes and double vision). We pride ourselves in achieving a child friendly atmosphere along with a caring staff. Dr. Nicholas A. Sala is Erie’s only fellowship trained pediatric ophthalmologist, which means he did an extra year of training specializing in eye diseases in children and adult strabismus. Dr. “Nick” is just a big kid himself, he’s kind of silly sometimes and don’t ever tell him that its your birthday because he thinks he can sing. On a more serious note we are involved in multiple research studies in which Dr. “Nick” and staff have won awards for everything from outstanding enrollment to performance awards for their attention to detail. Most recently were acknowledged for the top national recruiter from PEDIG (Pediatric Eye Disease Investigator Group) on their 20 year anniversary. Currently we are participating in Amblyopia and Strabismus research studies with PEDIG (Pediatric Eye Disease Investigator Group, pedig.jaeb.org). We continue to be one of the largest recruiting sites across the U.S.
Dr Nicholas Sala is Chairman of the American Osteopathic Board of Ophthalmology. This is the certifying board for Osteopathic Ophthalmologists across the United States. We are also proud of the fact that we have Erie’s only Orthoptists. Orthoptists are Eye care professionals who specialize in the diagnosis and management of binocular vision problems (using both eyes together). Orthoptics is a discipline dealing with the diagnosis and treatment of defective eye movement/coordination such as nystagmus, binocular vision, and amblyopia.